The Activities by Activity Classification allows administrators with the proper permissions to display information the relevant information about the selected activity classification. 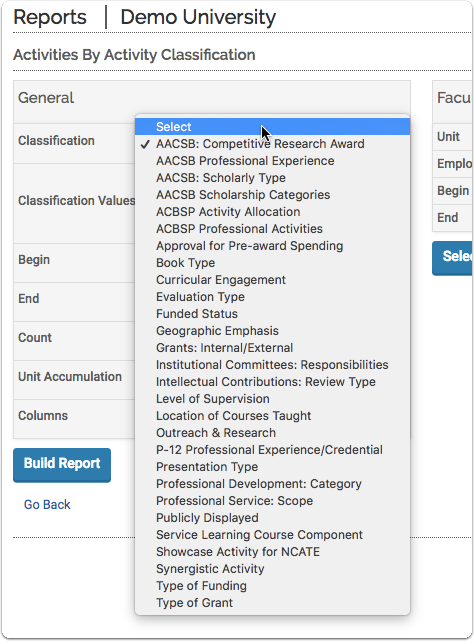 Customize the report by 1. configuring the relevant fields, 2. narrowing the faculty, or 3. narrowing by additional activity classifications. 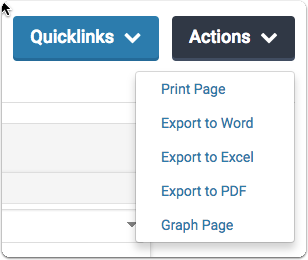 Choose the relevant activity classification to focus on for the report. 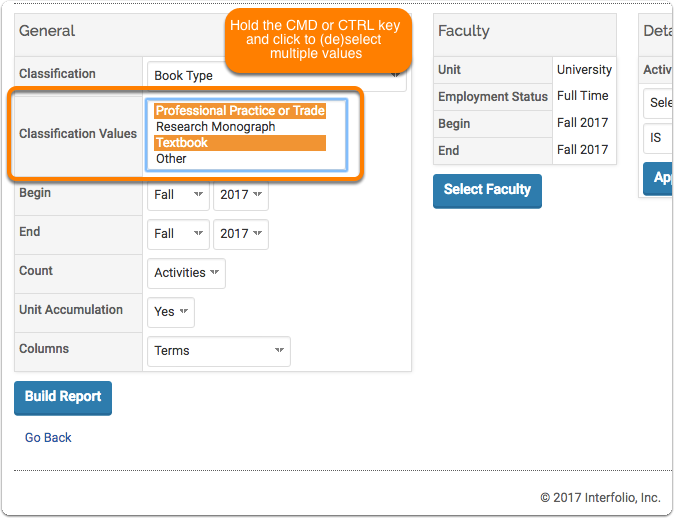 After choosing an activity classification, you can choose what associated values you want to be included in this report. 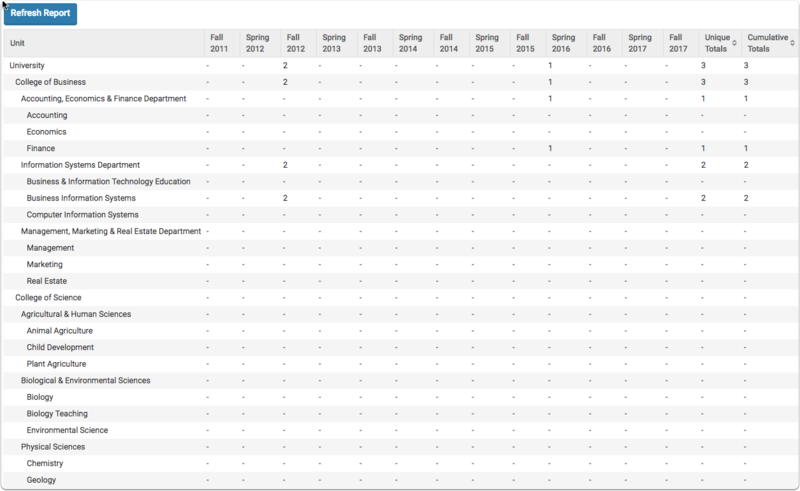 Choose what detail you want to count in the displayed report: Activities, Faculty. Selecting Terms will display the time frame range starting with the Begin and End field. Selecting Classification Values will display the different activity classification values in columns, narrowed by the Classificaition Values field. After building the report, the results display. 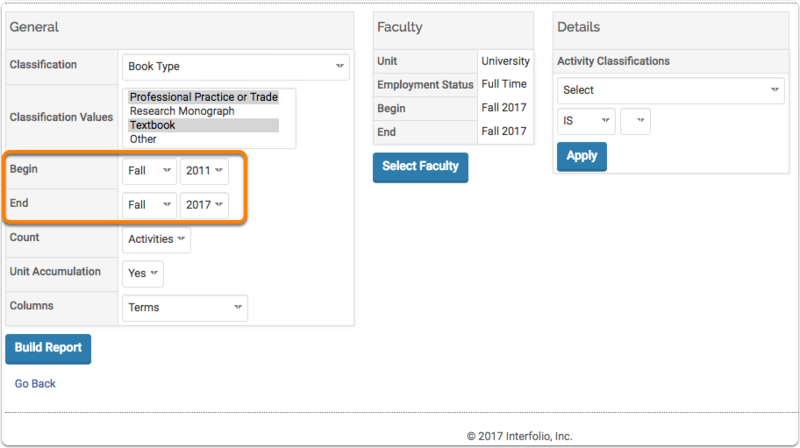 Displayed in the example below is the number of activity classifications are associated in each unit, by semester.